We all know that the new range of 2017 Pulsars has had the major upgrade of changes to accommodate the government mandated BS-IV emission regulations. 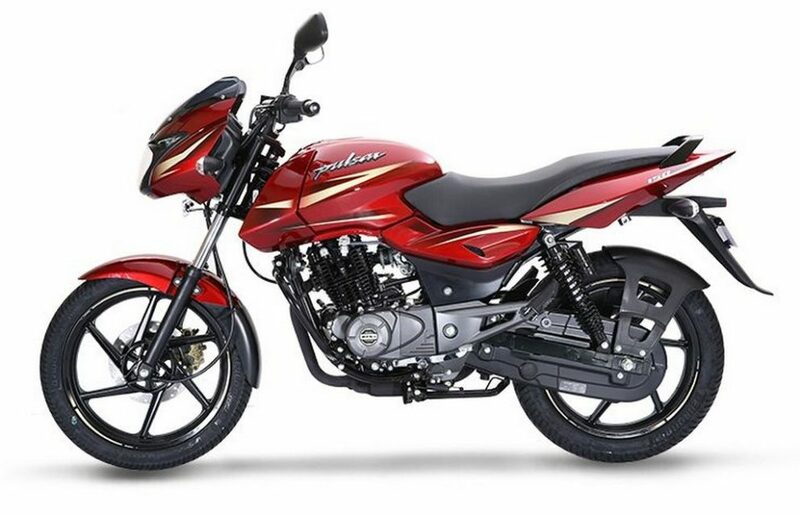 But the bestselling 150 cc motorcycle, the Pulsar 150, has been the last to adapt to the stringent norms with updated graphics to bring forth a refreshed look to some extent. 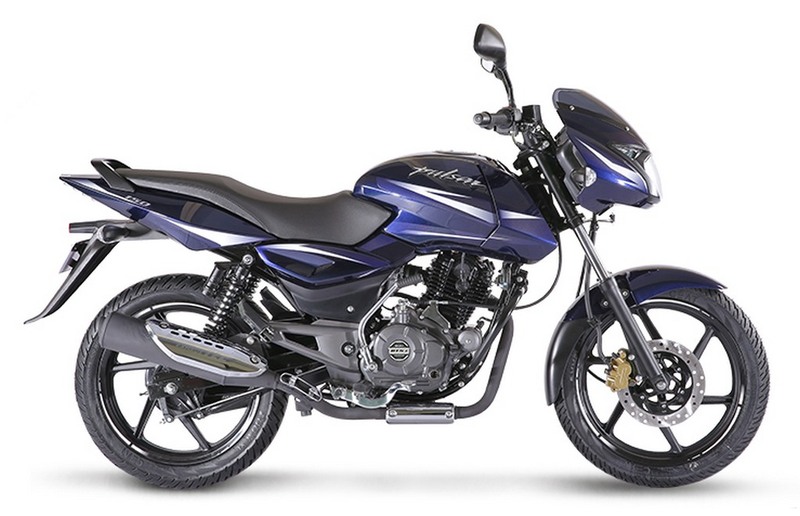 The 2017 Bajaj Pulsar competes against the likes of Honda CB Hornet 160R, Yamaha FZ version 2.0 and Suzuki Gixxer. However, it is the advanced with features incorporating the Auto Headlamp On technology. The seats now have improved texture for the ease of comfortable riding. The sleeker body graphics does tend to impress than the outgoing model as it crucially puts a modern thought to the entire package alongside matte engine finish and a black exhaust system. 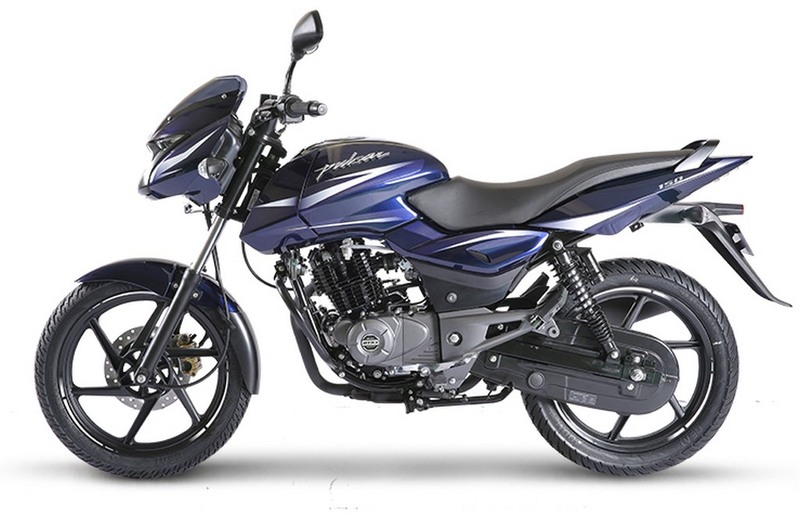 It is reminiscent to the cosmetic changes Bajaj has applied on the larger bikes like 180 and 220F -known as the Laser Edged theme. Except for the BS-IV compliance, there are some powertrain modifications notably implemented but the instrument cluster, which is just the same for so long, has new faux carbon fibre panels surrounding it giving a more decent look. 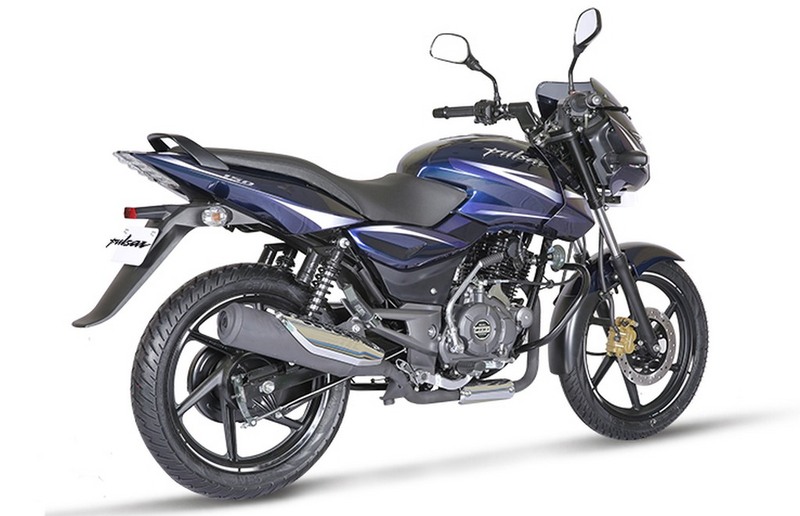 With a smaller bore by 2 mm and longer stroke by 4 mm, the new Pulsar 150 now produces less power than before. 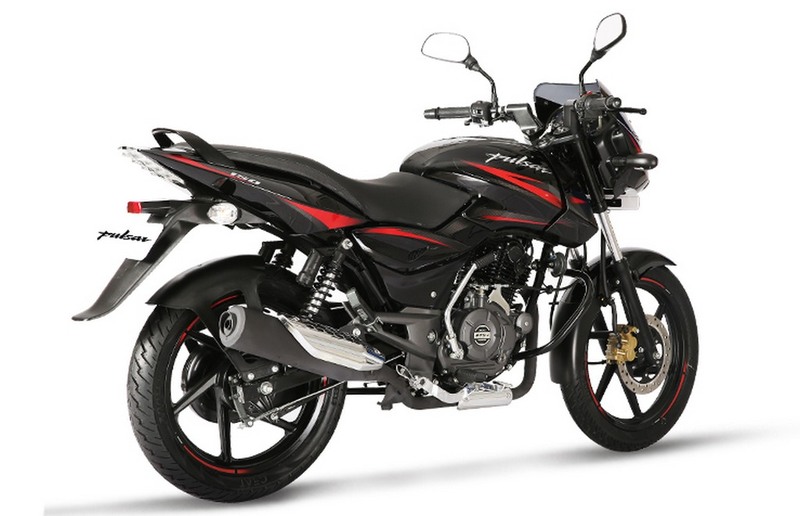 The 149 cc DTS-i single-cylinder air-cooled four-stroke engine develops 14 PS at 8,000 rpm, 1.6 PS down compared to the outgoing BS-III engine, while the torque is increased by 0.9 Nm to 13.4 Nm at 6,000 rpm. Both power and torque deliveries are said to come a little earlier in the rpm range. The engine seems to have been made more refined and the clutch lighter. Bajaj fiddled around the CDI configuration and increased the number of maps to five from two settings. 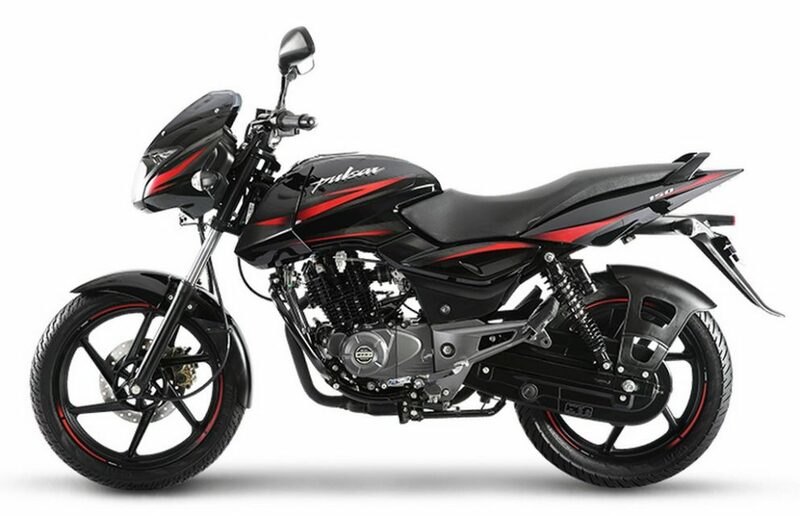 The three new shades the updated Pulsar 150 is offered with are Laser Black, Nuclear Blue and Dyno Red. 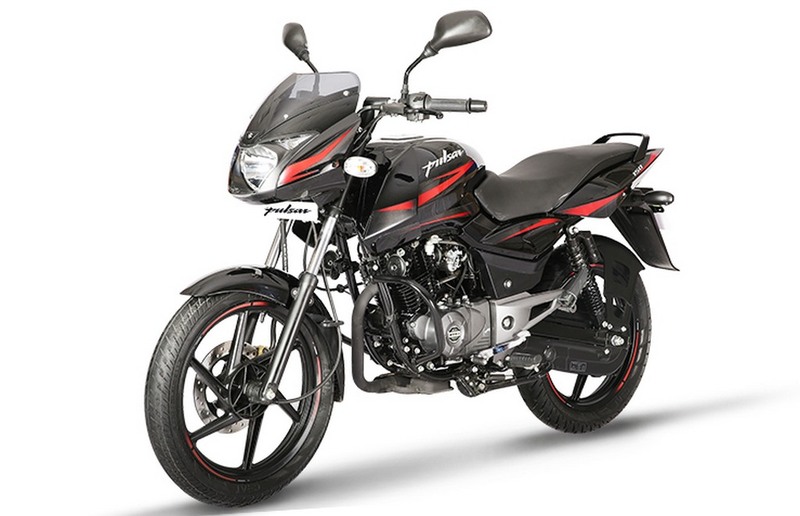 The 2017 Bajaj Pulsar 150 with BS-IV engine is priced at Rs. 74,603 (ex-showroom, New Delhi), just over a thousand rupees costlier than its BS-III predecessor. 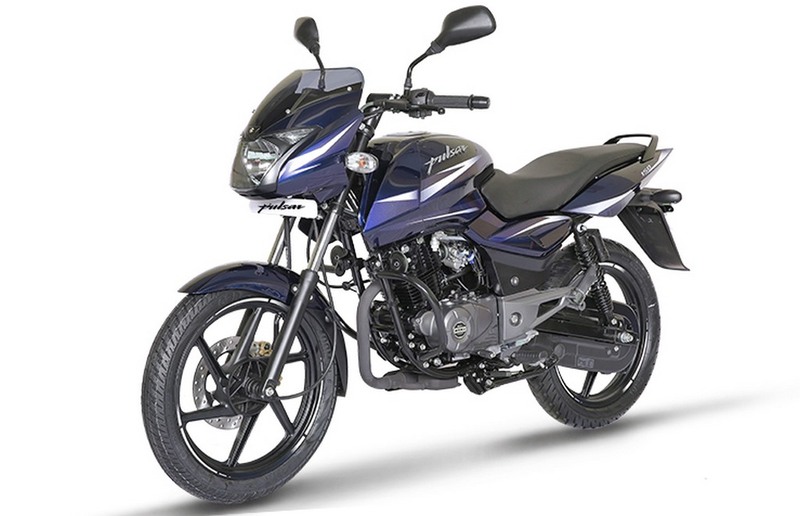 Sprung on a telescopic front forks and five-way adjustable nitrox shock rear absorber, the new Pulsar 150 has the same 240 mm front disc and 130 mm rear drum brakes. 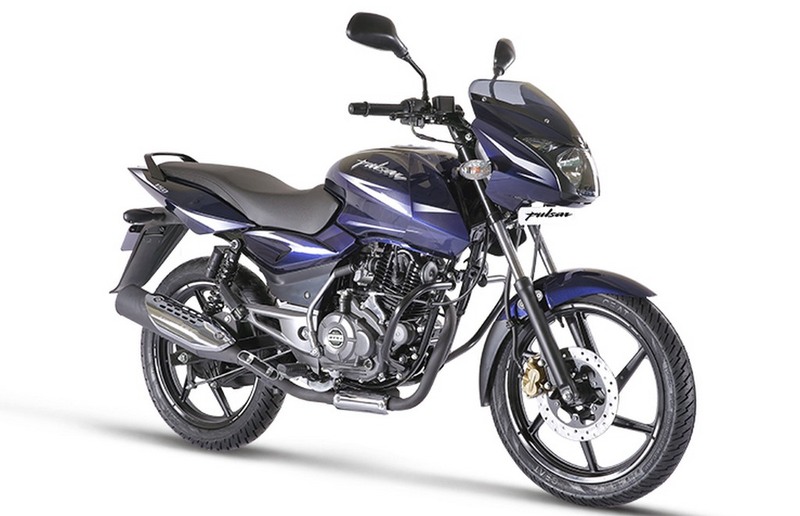 It rides on 17-inch tubeless tyres and has fuel tank capacity of 15 litres. The entry-level sporty bike measures 2,055 mm in length, 755 mm in width, 1,060 mm in height and has wheelbase of 1,320 mm. The ground clearance stands at 165 mm and overall the kerb weight tips the weighing scale at 144 kilograms.